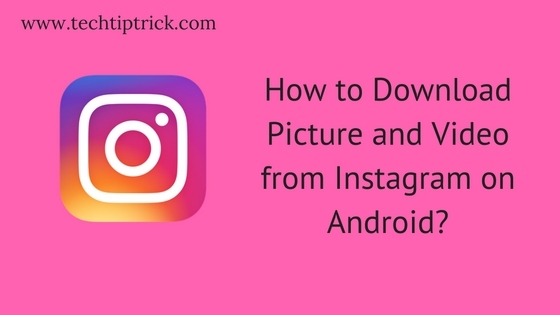 How to Download Picture and Video from Instagram on Android? Instagram in biggest images and videos sharing platform. According to Statista, more than 84.4% images and 15.6% videos shared and 500 million monthly active users of Instagram in 2016. I am also using Instagram to sharing Quotes, Inspirational images, and videos with my followers. Sometimes I tried to download images and videos from Instagram but the official Instagram Android application doesn’t give you permission to download videos and images on your android device. 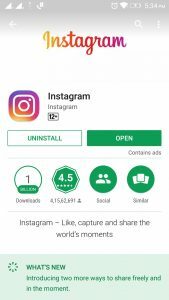 How to Download Image and Video from Instagram on Android? 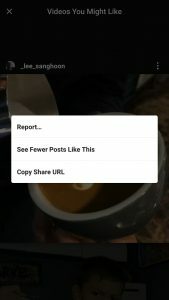 1 How to Download Image and Video from Instagram on Android? Go to Google Play and install Instagram Application on your Android device. 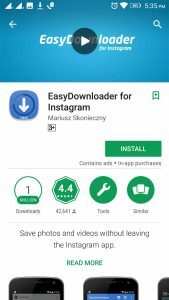 Now search EasyDownloader application on Google Play Store. After downloading EasyDownloader you need to enable “download mode” from the setting option. Open image OR video which you want to download. On the top right side you see 3 dots. Just click on it. When you click on it you 3rd option “Copy Share URL”. Just click on it. When you click on it you, the EasyDonwloader app will start downloading image or video. You can see the downloading process on your mobile notification bar. This images and videos will save on your Memory card OR phone memory. Hope this guide will help you to download Instagram video and image easily. Kindly share your review in comment box.